Long ago, Samuel de Champlain, the French explorer of what is now Eastern Canada, had a dream: that in the new territory he had explored, all might raise their voices together, indigenous and European, of all faiths, a chorus of different perspectives, cultures, and ideas. It was a dream forgotten, deferred, but one that resonates with where Canadians find themselves now. 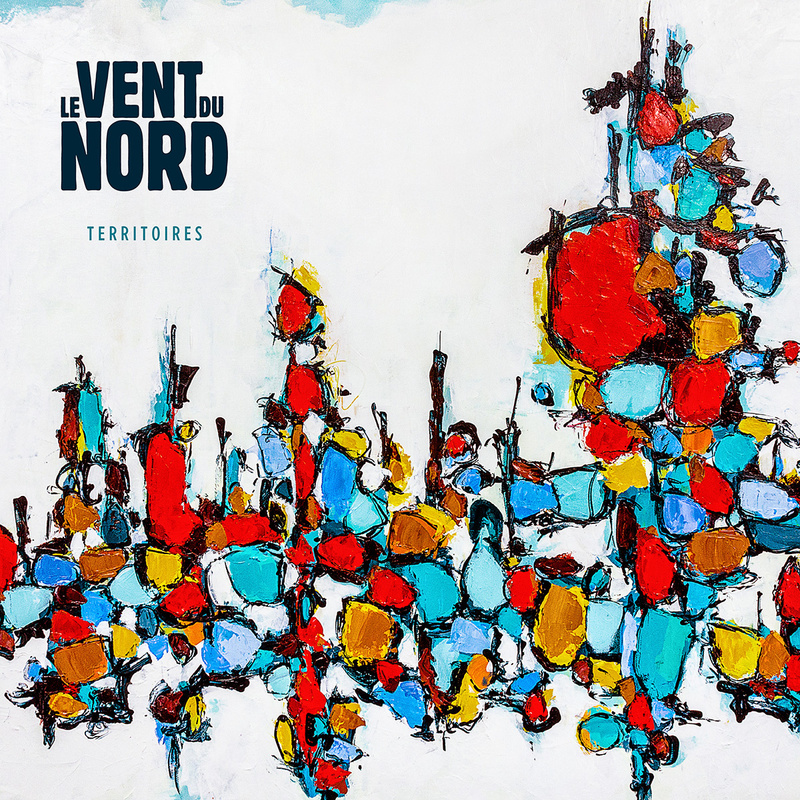 Le Vent du Nord, feisty torch bearers of Quebecois traditional music, bring this dream (Le Pays de Samuel) and others to life on Territoires (Borealis Records) the group’s richest, most intriguing album to date. From the plight of New France (Louisbourg) to progressive social changes (Evolution Tranquille) a nod to the mid-century quiet revolution that led to Quebec’s rebirth, from mysterious monsters (Chaousaro) to love’s yearnings (Le Soir Arrive), the now five-person ensemble travels far and wide. Le Vent du Nord’s dream has always been to bring a contemporary, highly original sensibility to the songs and melodies preserved in archives or treasured in family troves. Through thoughtful engagement with songs’ stories and artful arrangements, the ensemble pushes Quebec folk music forward, with an ear open to the world and its current travails. This means finding timely messages in long-lost tales, crafting tight and moving vocal harmonies, and getting whirling dance tunes still cherished in many towns and families to groove hard. Tel: 020 7226 1686 Tickets £18.00 -- Doors 7:00 p.m.
Tel: 01544 267163 Tickets £12.00 -- Doors 7:30 p.m.
Tel: 0151 709 3789 Tickets £21.00 & £19.00 Doors 7:30 p.m.
Tel: 01482 874050 Tickets £17.00 -- Doors 7:30 p.m.
Tel: 0115 846 7777 Tickets £18.00 -- Doors 7:30 p.m.
Tel: 0191 443 4661 Tickets £17.40 -- Doors 7:30 p.m.
Tel: 0113 245 5570 £18.00 -- Doors 7:15 p.m.
Tel: 01476 406158 Tickets £15.00 -- Doors 7:30 p.m.
Tel: 01622 758611 Tickets £15.50 -- Doors 7:30 p.m. I meet an old friend who still sings the old songs. Me and my beloved, we go walking in the wind and the rain. The ocean light overpowers me. First love, that summer in London. I am a child again singing hymns in the old church. It's the same old tune. What good is love held in reserve. I'm walking on the street of song. Leaving in the twilight, returning in the dawn. 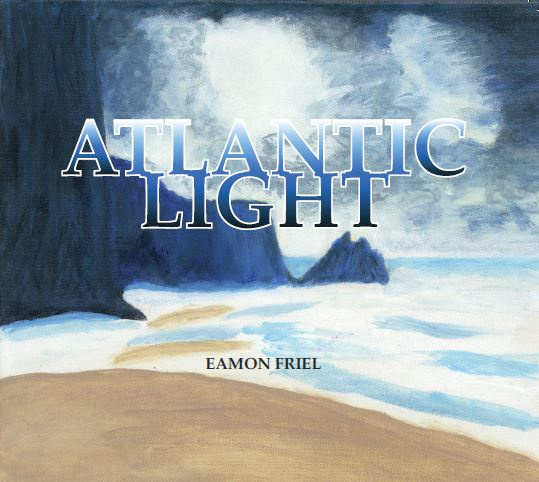 Eamon Friel is the son of a Mayo mother and Derry father. He writes about his life, experiences and his observations of the ever changing world that he sees around him. Friel’s writing is mystical painting pictures with his word play which could be compared with that of the landscape artist; each word carefully chosen and lovingly placed upon the page. Mountains and hills become people in a place where animals talk and the soul and being are more important than time itself. The landscape of Ireland its churches, rivers and towns entwined with the effect it has had on a troubled people; it’s all there in the songs. Born in London’s Stockwell with childhood summers spent in Ireland, the family left Stockwell and returned to his father’s troubled hometown of Derry, Londonderry, Stroke City call it what you will. It was the youthful experience of cultural change and upheaval that left a lasting impression on the mind of a young man that would later emerge in songs penned in W.B Yeats like mystical imagery from a place in time and a time in place. If proof of his ability as a songwriter were ever needed we need look no further than recent song covers by Sean Donnelly, The Fureys, Johnny Coppin, Pete & Jan, Bill Jones, Sean Tyrrell and the Japanese band Brahman. Eamon broadcast’s on BBC Radio Ulster via his much lauded and very popular programme ‘Songbook’ where he celebrates some of the world’s best songs past and present, taking in the popular, the influential and even the esoteric. The show is a labour of love with each song hand picked, fully researched and weaved into a running order that is a piece of broadcasting excellence. Friel is one of the few artists around that can say he was actually paid by radio to write topical, comic and satirical songs to order. He was at one time commissioned to write songs for BBC Radio Ulster’s “Talkback” the lunch time inter-active news programme. A task he often had to carry out at the drop of a hat to meet the changing political and social demands of the day. Some pages within 'Of Death And A Banana Skin' feature Augmented Reality. Many of the pages in this book can be brought to life by scanning them with a tablet computer or smartphone. Please explore this website to read and hear some of the poems, see some double page spreads, and watch animated renderings of Hilary James’ digital artwork. 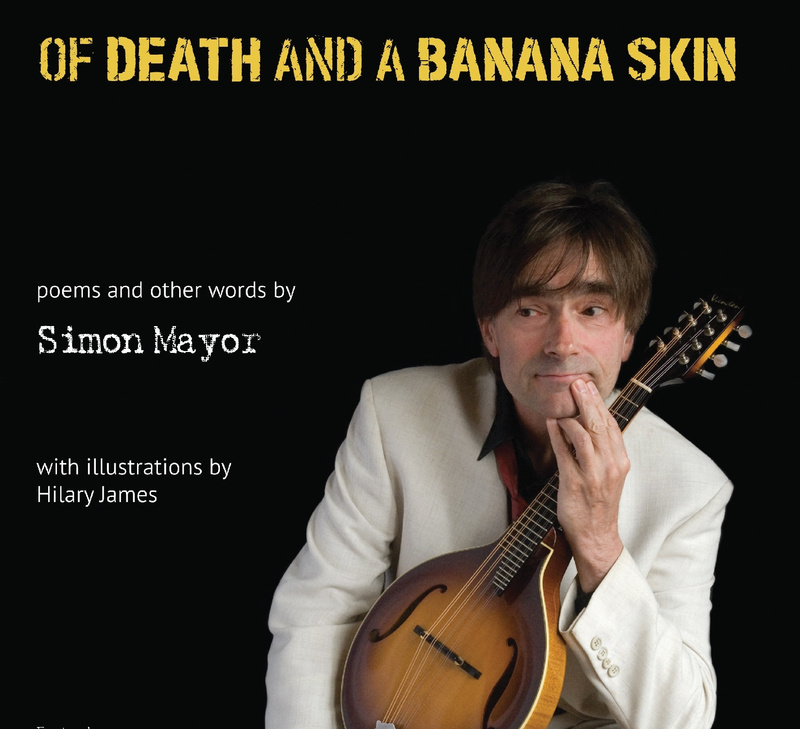 Here’s a taste of some anecdotes from Of Death And A Banana Skin Read journalist Molly Flatt’s interview with Simon Mayor & Hilary James in The Bookseller. 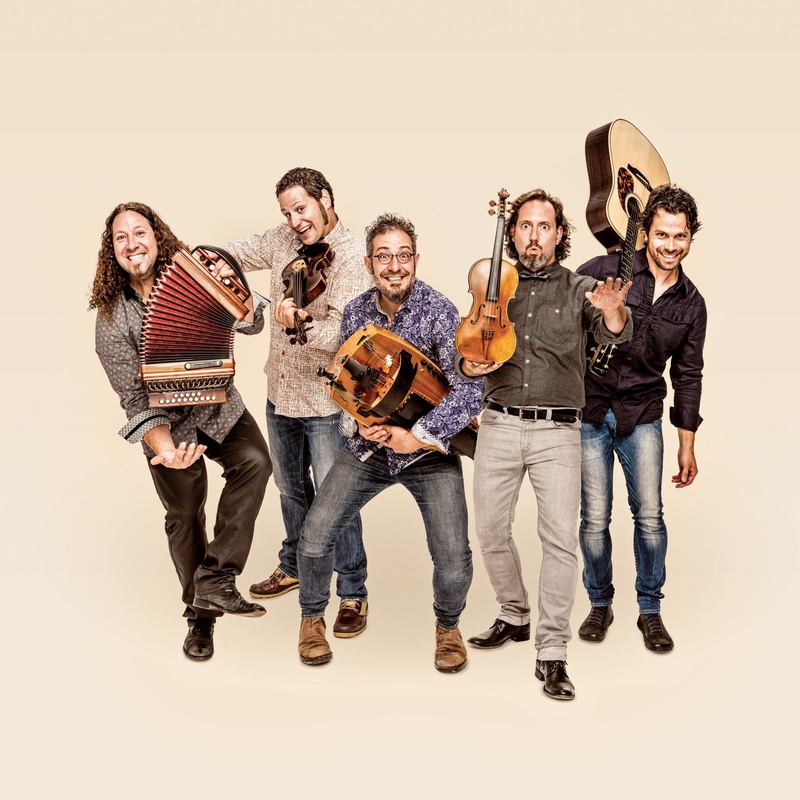 Internationally renowned traditional music group Le Vent du Nord will launch their 10th album February 15, 2019. With unparalleled musicality, the five band members of Le Vent bring to life the stories, memories and tunes of Québec. From unaccompanied songs to sophisticated musical arrangements, TERRITOIRES brings new energy to the music of a valued and cherished heritage. This traditional song is another gem found by the band in Acton Vale in the Montérégie region of Québec. Uncovered in a research paper in 1984 the song tells the story of Pierrot, who kills his lover to please his mother. He’s sentenced to death by hanging, but the hangman’s rope breaks and he survives. Pierrot is actually the story of all of us. We live with our lies, our violence, our wrongs, but life often grants us a reprieve. We’re confronted with clear cutting, pollution, and the destruction of our heritage, but we get a second chance to do better. Behind the dark tale of Pierrot, there’s the hope of a better world. This song from the past was modernised thanks to the melody of Nicolas Boulerice, as well as contemporary arrangements that notably include bouzouki and vocal effects. Le Vent du Nord - An exceptional international career! Not only considered outstanding francophone ambassadors, Le Vent du Nord are driving the Québec progressive folk movement as well as being major contributors to the rebirth of traditional Québec music. Since their formation in 2002, the group have enjoyed a meteoric rise that never ceases to amaze! The group have performed more than 1800 concerts across five continents, released nine albums, and won several prestigious awards, including a GRAND PRIX DU DISQUE CHARLES CROS (France), two JUNO AWARDS and a FÉLIX award at ADISQ 2015 for their latest record, TÊTU. Most recently the band has been acclaimed on major international stages, including events such as WOMAD Chile, WOMADELAIDE and WOMAD New Zealand in the Southern hemisphere, as well as the Edinburgh International Festival in Scotland and the legendary Fairport’s Cropredy Convention. 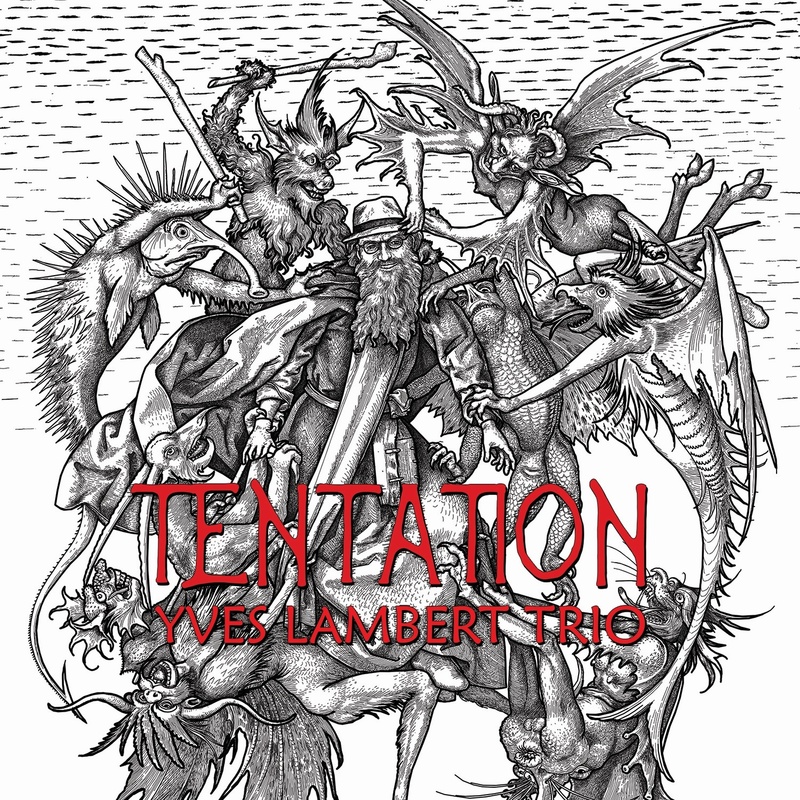 ‘ We are talking about vision – for the Tentation album, I was greatly inspired by the biblical theme “The Temptation of Saint Anthony”, a theme that also inspired many artists over the centuries, among them the painters Salvador Dali, Heironymous Bosch, Martin Chongauer, Michelangelo and Max Ernst; Gustave Flaubert’s writing also reflected the story’s influence. I couldn’t be among better company! For me, this theme is a nature study. A view of humanity through its strengths and weaknesses. From sacrifice and sin to pleasure and regret, with sacrifice integral to pleasure – plenty of paths to take. It is in this spirit that I have developed the “happy” concept that will imbue this new album, featuring temptation in all its forms – carnal pleasure, drinking, abuse of power, etc. Now living in Vancouver, Canada, contemporary folk singer-songwriter Chris Ronald emigrated from his native England in 2002. He was born in Ormskirk, Lancashire, and brought up in Derby & Burton. Ronald first got hooked on songwriting at the age of fifteen when he put to music a poem he wrote in high school, but he only started to go public in his thirties after moving to Canada and self-producing his first two albums: Pacific Time (2004) and Turning Tides (2011). the Year” at the 2014 Canadian Folk Music Awards. John Ellis is an award-winning producer and multi-instrumentalist from British Columbia who flits effortlessly between guitar, dobro, mandolin, banjo, and more. He has worked with top Canadian talent such as Colin James, Ferron, and Jane Siberry and produced Ronald’s last two albums. Also, you might be interested to know that John is a direct descendent of Elizabeth Fry. Originally from Alberta, Mike Sanyshyn has been named British Columbia provincial champion four times as well as fiddle player of the year at the Canadian Country Music Awards. He was placed in the top three at the Canadian Grand Masters Championship. A first call studio musician, his fiddle features heavily on Ronald's new Fragments album. Is this the world’s first folk party record about the glories and tragedies of whaling? Leviathan! 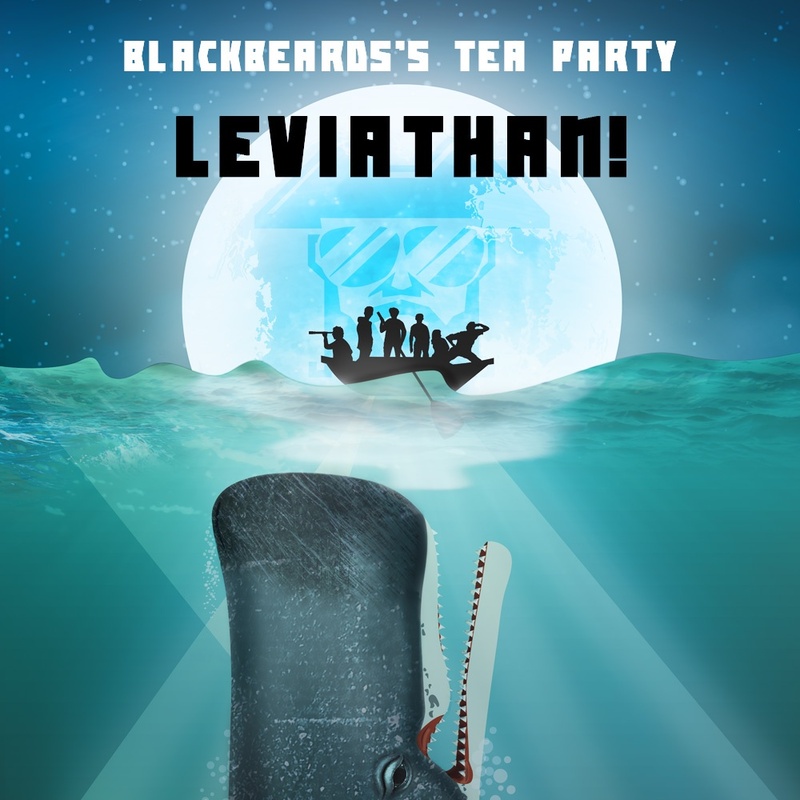 is the second EP – and fifth studio release – from York-based folk-rockers Blackbeard’s Tea Party. On this record, the band dramatise a whaling industry which once funnelled significant funds to British ports such as Hull, Whitby and Peterhead but would eventually bring many whale species to the brink of extinction. Across five tracks the band depict the industry’s promises of profit and glory, the power and might of whales, the adrenaline of the hunt, and the tragic bloody realities of a whaler’s life at sea. Throughout, the band plough their own distinctive furrow of arresting folk rock, a sound that is bigger and badder than ever. Moving away from hand percussion, the interlocking rhythms are now provided by two drum-kits, a choice which adds power to the band’s sound and accentuates Blackbeard’s Tea Party’s rockier edge. But while they contemporise British folk, here Blackbeard’s Tea Party stay grounded in traditional source material, displaying both accomplished musicianship and their flair for compelling Storytelling. Land of Escape is Ben Reel’s eight studio album, and like the last two releases it was recorded and produced in Ben's own studio in South Armagh, Ireland. It’s different from his previous album, 7th; Ben feels it has a more alt folk ambient vibe. Ben Reel is a native of Silverbridge, South Armagh. Soon after high school at the age of seventeen (1989) he started his musical career performing and songwriting with local band “Trim The Velvet”’ before going solo in the late nineties. Bruce Springsteen, Van Morrison and Neil Young. Their music struck a chord that resonated deep into Reel's psyche, which is reflected in Ben's heart on the sleeve approach to performing and writing. Ben Reel performs solo or as a duo with his wife Julieanne or with his Dutch band `The Haarlem Boys’ but mainly he performs with his own `Ben Reel Band’. The band have graced big festivals such as Haarlem Jazz & Huntenpop in the Netherlands, Robin Hood Folk Festival in Nottingham, Kilkenny Rhythm & Roots, Cork Jazz Festival & Ireland’s premiere music festival “Electric Picnic” and in December 2017 they played the Musiktan festival in Bilbao, Spain. Since his debut back in 1999, each album released by Ben Reel has gone from strength to strength earning him many plaudits from the music media around the world. Ben’s unique style has evolved by drawing from a wealth of different types of music, from rock, soul, blues, alt folk/Americana, country and reggae. By fusing these different genres behind his songs he has created a sound that has become his own. Over the years Ben has made numerous radio and television appearances along with playing support to artists such as, Jools Holland, Alabama 3 and The Cranberries. He has collaborated musically with such names as Hal Ketchum, the legendary Blockheads’ and the award winning saxophonist Gilad Atzmon. In November 2017 Ben was honoured to be asked to perform `On Raglan Road' at the 50th anniversary commemoration of the famous Irish poet Patrick Kavanagh. From Ottilie Patterson in the 1950s through to Gráinne Duffy and the Bonnevilles in the present, the Hardchargers are an exciting new chapter in Northern Ireland’s long history of world-class blues artists. 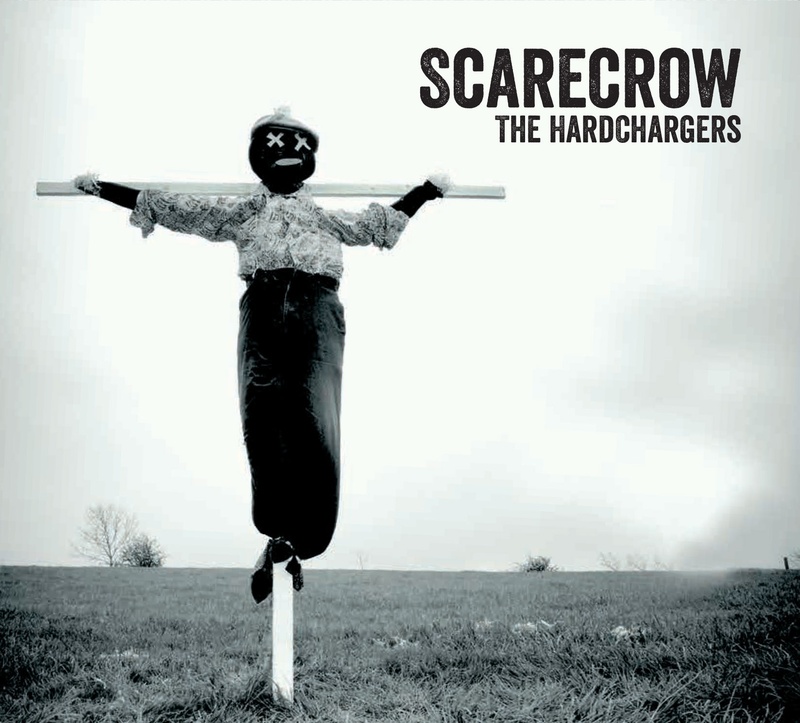 After 8 years of thrilling audiences the length and breadth of Ireland, and 4 self-released singles, Scarecrow is both their first album and first nationally released product. It heralds a new focus for 2018 on performances in Britain and Europe. Together, Lonesome Chris Todd (guitars/vocal), Richard J. Hodgen (drums/washboard) and Dave Thompson (bass/ukulele bass) performed 80-90 gigs a year throughout Ireland from 2012 to the end of 2016, from backwater bars to repeats bookings at the island’s biggest blues and rock festivals. Incorporating an exhilarating back-porch section to their set with resonator, washboard and ukulele bass, the Hardchargers are steeped in inspiration from the greats of the pre-electric blues – Blind Willie McTell, Blind Willie Johnson, Bukka White, Willie Brown – to the progenitors of electric blues such as Lightnin’ Hopkins, Howlin’ Wolf and Frankie Lee Simms. Their live set is an electrifying reimagining of all of the above, combined with the lyricism of Lonesome Chris Todd’s real-world blues and a musical language exquisitely refined from all of blues/roots and rock history since. Scarecrow was recorded over five days in Belfast in December 2016/January 2017. Album guests include Irish jazz sensations Linley Hamilton (trumpet) and Scott Flanigan (piano/organ). Produced by legendary singer-songwriter and guitar sage Michael Chapman. 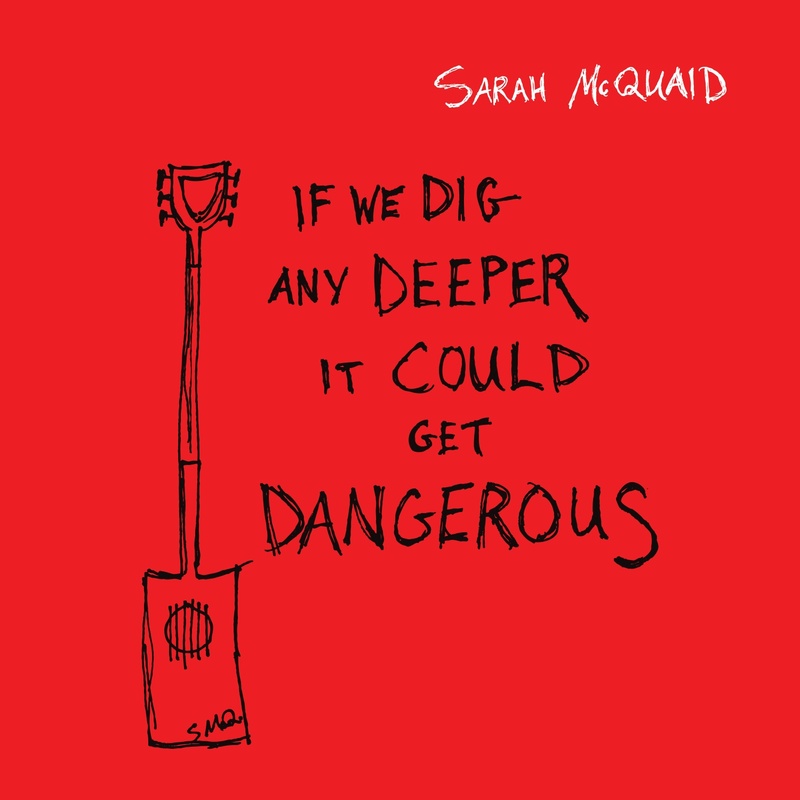 If We Dig Any Deeper It Could Get Dangerous is the fifth solo album by UK-based singer/songwriter Sarah McQuaid. On four of the tracks, including lead single “The Tug Of The Moon”, McQuaid plays an electric guitar belonging to Chapman, which he’s since given her on long-term loan. “The precision and sophistication of the writing and playing blows me away. I am so glad to be involved,” he writes in his introduction to the album booklet. Since meeting Sarah when both artists played the Village Pump Festival in 2014, Chapman has become a staunch friend and supporter, even performing as her opening act at a local concert he and his wife arranged for her. Another new addition is piano, which McQuaid plays to beautiful effect on “The Silence Above Us” as well as on “Slow Decay” and “Forever Autumn”. Guest musicians include Chapman on archtop electric guitar, Roger Luxton on drums and percussion, Samuel Hollis on upright and electric bass, Richard Evans on trumpet, Georgia Ellery on violin and Joe Pritchard on cello. If We Dig Any Deeper It Could Get Dangerous was made possible thanks to financial support from Arts Council England Grants For The Arts, using public money from the Government and the National Lottery, and from Cultivator, which is funded by the European Regional Development Fund, the European Social Fund, Arts Council England and Cornwall Council. The album was launched with a concert at the Acorn arts centre in Sarah’s adopted home town of Penzance, following which she’ll be touring it extensively in the UK, Ireland, the Netherlands, Germany and the USA. A documentary about the making of Sarah McQuaid's fifth solo album 'If We Dig Any Deeper It Could Get Dangerous' produced by legendary singer-songwriter and guitar sage Michael Chapman. both artists together and separately on lead vocals. Also included on the album are two classic songs Peace In Erin and The Maples Lament. Fil Campbell has been a performing musician and singer since she was a teenager. She was brought up on the folk songs and music that was popular around the localities and townland's of Fermanagh and Donegal. 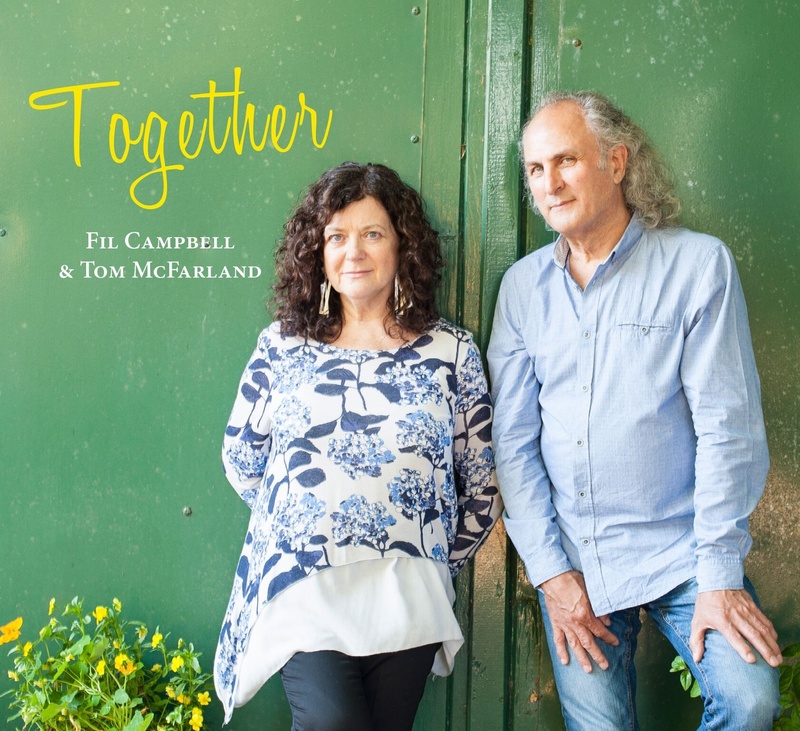 Since the 90's Fil and her husband Tom McFarland who hails from Belfast have been singing and playing as a musical duo. Their unique combination of blending vocals, guitar and percussion plus the ability to mix their original compositions with traditional and contemporary songs -- punctuated by the Irish gift of chat and craic -- has won the hearts and minds of audiences around the world. The group Trio Dhoore features three brothers from Flanders in Belgium. 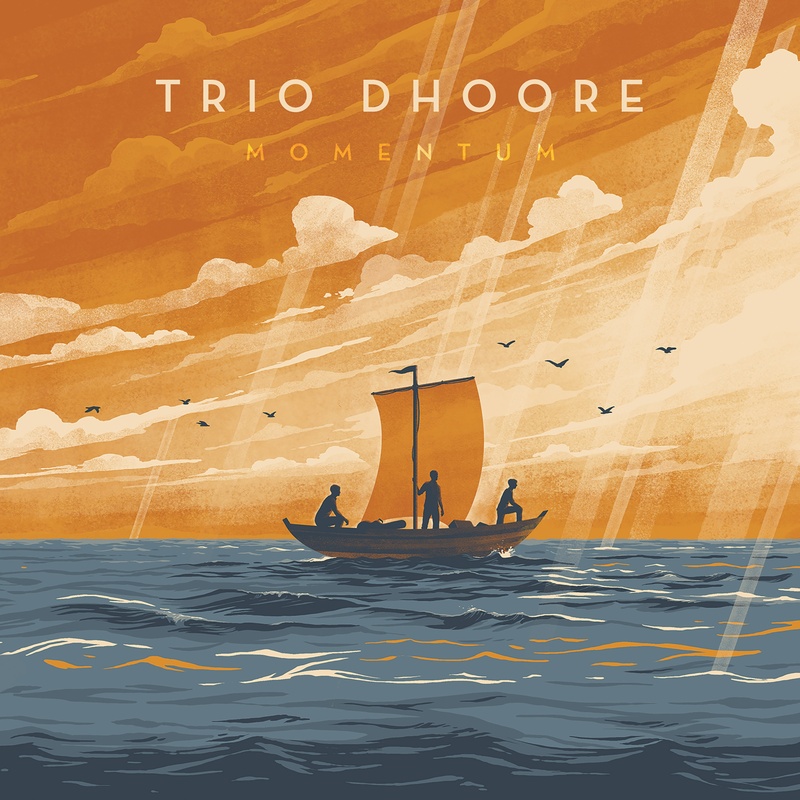 Trio Dhoore are a young and talented band of musical brothers from Flanders in Belgium. Their extensive repertoire of traditional Flemish tunes is punctuated by song and many of their own compositions. This mix all goes to provide their audiences with a soundscape where traditional and contemporary music, melancholy melodies and intuitive interplay merge to unique effect. The brothers Dhoore, Koen, Hartwin & Ward present their instrumental music in a very dynamic way - writing and playing many of their own compositions - whilst at the same time they breathe life and energy into traditional Flemish music with a skill that belies their ages. With a critically acclaimed catalogue of three albums, and a stellar list of concert and festival appearances, the brothers have started to gain the attention of the music and cultural media. Since the release of their first album Modus Operandi in 2013 Trio Dhoore have become a leading Flemish music export and festival favourites. The brothers have now toured across Europe and as far afield as Canada. Amongst their performing highlights they completed a ten-day tour of Canada (Mill Race Festival, Goderich Celtic Roots Festival). They have also appeared at European festivals such as Rudolstadt Festival (Germany), Kaustinen Folk Music Festival (Finland), Korrö Folkmusikfestival (Sweden), Festival Dranouter (Belgium), Fête de la Vielle (France), Hiiufolk (Estonia) and Strib Vinter Festival (Denmark). "One of the folk scenes most unassumingly euphoric acoustic sounds"
Promoting music to associated media, radio and television producers, film and documentary makers.